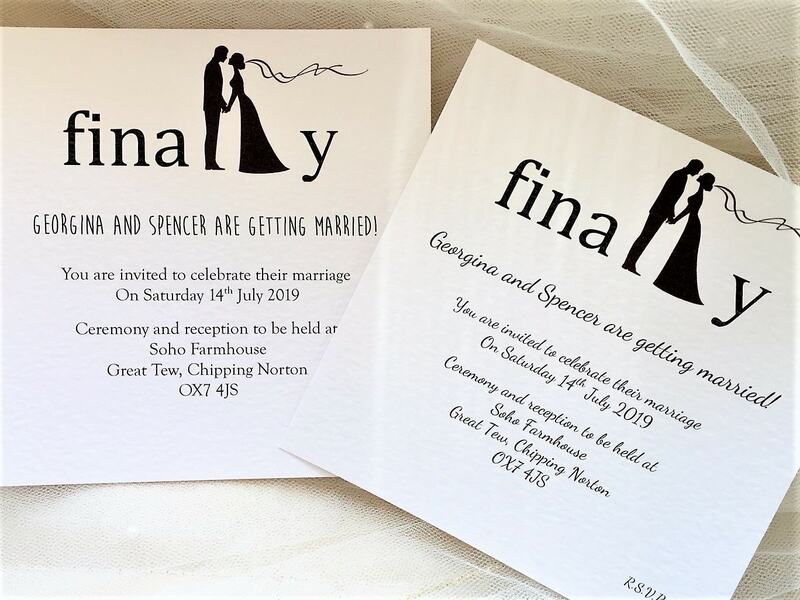 Finally wedding invitations, a striking modern design available on a choice of card, printed in a font style of your choice. 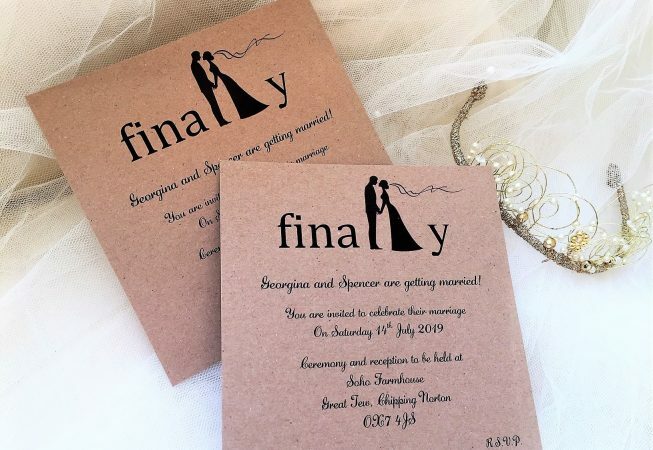 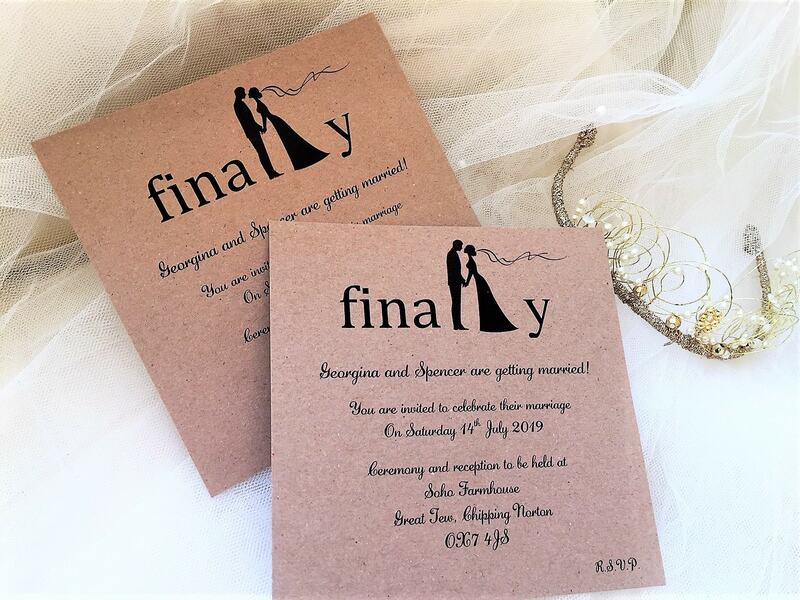 All our wedding invitations are supplied with a matching envelope and we can print your guests names free of charge (this is optional). 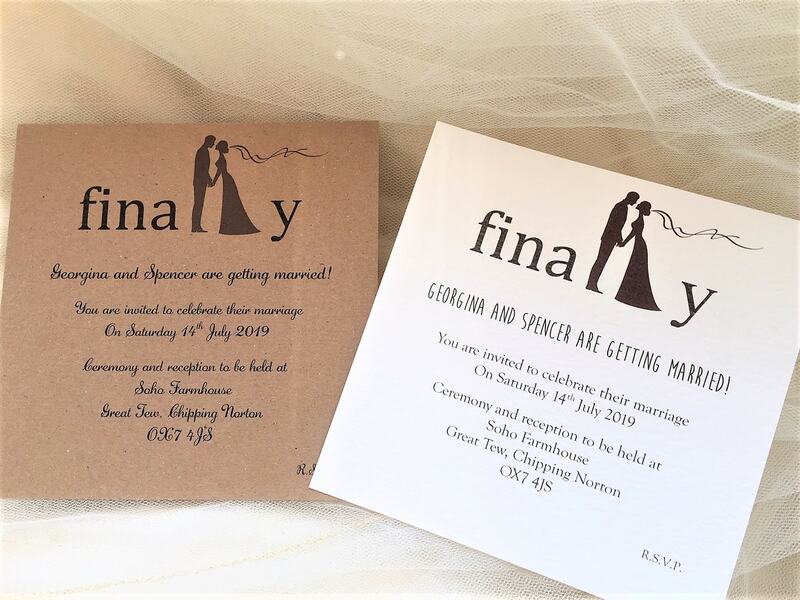 We also supply a smaller version (postcard size) for just 80p each. 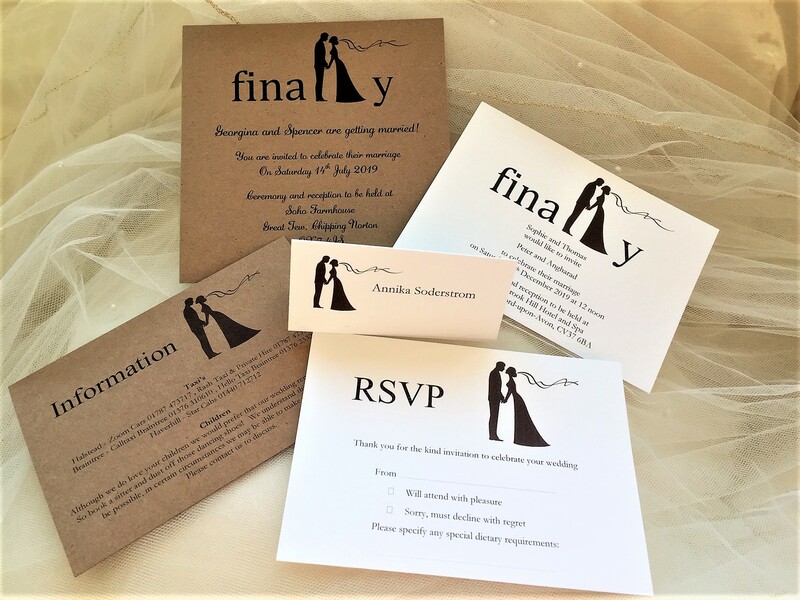 Matching RSVP cards, Information Cards, Order of Service, Menus, Place Cards and Table Plan Cards are available in this design.